Indian media puts journalism over national security? Awesome, Isn’t it? How much of a fool can the media make of themselves? The whole Mumbai nightmare has been faithfully punctuated by bad reporting by the media. 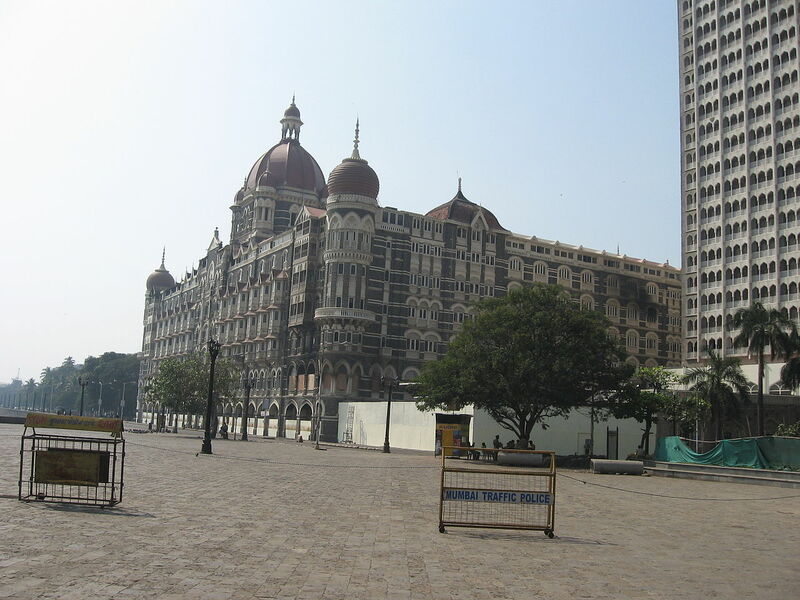 One terrorist killed at Taj. Seven. uh, it was two. Two! Which two? I thought four…. but that wasn’t at Taj! That was at Oberoi……… If you look at my post that takes a look at how many terrorists were reported dead by the media, you wouldn’t worry about rumors saying 16 terrorists, because you could account for them then and there. Which floor of the Taj was the fire on? 8th or the 13th? Were shots fired at CST on the next day or not? To me, it looks like there was very little reporting. What was, was a day and night National Level test match between different media. In a struggle to provide the most information, all boundaries of insignificant hassles like confidentiality needs in an ongoing operation, facts, verifications of rumors were simply wished away out of existence. If the terrorists were actually able to sift information from crap by following the media, they shouldn’t be in LeT. Mensa is where they should be. Yet, in the face of all the nonsense, there actually were completely irresponsible details broadcasted for all to hear – who all are coming to the location, how many commandos, live telecast of the helicopter dropping commandos on Nariman House….. I remember thinking that these terrorists were really incompetent. If I were a terrorist, with all the information I could get from the TV, I’d rig the terrace with bombs the minute I came to know there was a helicopter drop, and then sit happily on a lower floor watching TV to plan the exact moment to detonate it. Good it didn’t occur to these guys, but no thanks to the media for it. I found it totally insane that “rumors” of a blast at CST were broadcast the next day in between announcements not to spread rumors. With all the fancy gadgets on location, apparently no one had a phone to call up the station and find out before throwing Mumbai in a panic. And now finally this. It really takes the cake. The media guessed at the contents of the demarche!!!???!!! What’s more, the stupid government instead of throwing them into jail, played along with it, and we have spent a day arguing with Pakistan about how we want the wanted men deported and how they wouldn’t, and the scenario is heating up. By the way, no apologies for misrepresenting situations, misleading people, misinforming them, etc have been seen. 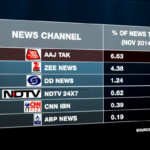 So basically, as long as the TRPs rise, just talk whatever crap you can. I’m really puzzled about what all seems to pass for journalism in Indian Media. Honestly, this seems outright criminal to me. Definitely against the interests of the country. How can the media speculate about the contents of a confidential document between countries? What the hell is going on? The sources also clarified that contrary to media reports in India and Pakistan, the demarche which was handed over to the Pakistani side earlier this week did not contain the list of 20 most wanted terrorists that had first been given to Islamabad in 2000. Once the media started saying India was demanding the immediate handing over of the 20 fugitives, of course, the Government could hardly contradict these reports since their return has been a long-standing Indian demand, the sources added. The demarche made only a pro forma reference to the return of unnamed fugitives but was otherwise exclusively focused on the Lashkar-e-Taiba and its leader Hafiz Saeed, whom New Delhi regards as the perpetrators of the Mumbai terror strikes. Worse, the government is covering up for the media because they mention something they want? Hello boss! At this moment, what we want most is a less volatile situation. Really folks. GROW UP!!! We are trying to catch some terrorists here and avoid a war. Those 20 men have been a major hostile point which was introduced between two countries because some journalist as usual didn’t bother to verify what they were writing. So of course, as a country, we pressurized another country and created anger and misunderstanding over something we hadn’t even planned to ask for just yet. Disillusioned doesn’t begin to cover what I feel. I’m not even certain what’s true and what’s a journalists’ version of how things could be in all the news on the terror attack investigations.